When discovering kitchen ideas, there are several aspects to consider and keep in mind as you browse kitchen photos. First and foremost, you should carefully consider your layout and where to place large appliances. Next, you should focus on storage; kitchens contain a lot of utensils, pots, pans and gadgets, and you need to have enough space to store all of your favorites within easy reach. Lastly, your room should reflect your personality with its decor and vibe. The ultimate goal of all kitchens should be to create the most functional yet beautiful space possible to meet your eating and entertaining needs. HOW DO I DETERMINE MY KITCHEN LAYOUT? 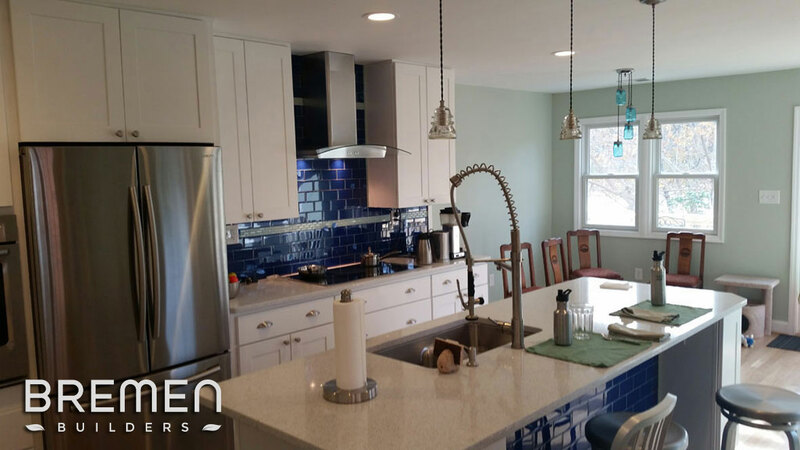 If you're starting a kitchen renovation, now is a great time to create exactly what you want. When it comes to layout, always optimize your space; focus on functionality and how your design can cater to the needs of you and your family. For tight spaces, a galley layout is a great kitchen remodeling option. Since horizontal space is limited, think vertical; stack counters and shelves high up on the walls, and try to find innovative storage containers and double-duty pieces. For larger layouts, try an L-shaped or U-shaped design with a big center island or peninsula. These shapes provide plenty of cabinet and countertop space, and you can add a bar-height counter to the island for an instant eat-in space. Reviewing kitchen pictures and photos are a great way to to get a feel for different kitchen layouts and help you decide what you want. Another essential kitchen remodel essential to consider is the work triangle, which is a 70-year-old concept that is still highly utilized within the design world today. A simple idea that can save both time and energy, the work triangle connects the three main work areas: the sink, the stove and the refrigerator. As a general guideline, the distance between these areas should be no less than 4 feet and no larger than 9 feet. The sum of all three sides of the triangle should be between 13 feet and 26 feet. Given how highly effective this utilitarian design is, definitely take it into account when considering kitchen designs. How can I add more kitchen storage? Kitchen designs can be a complex undertaking given the sheer amount of items that the room usually contains. In order to store and organize all your cookware, bakeware and small appliances, you need cabinets, drawers and shelves to spare. To maximize your space, you can include cabinets in your island, purchase spice racks, install hanging pot racks, insert pullout storage and invest in a cart. You want to achieve clutter-free countertops, so also consider spaces you may never have before, such as corners or under the sink. You can also free up some space by storing infrequently used items outside of actual kitchens, like in storage rooms or basements. What countertops and cabinets should I use in my kitchen design? Picking interesting materials is key for helping your kitchen ideas stand out. When it comes to counters, granite and marble countertops are elegant options, while concrete, limestone and stainless steel counters are a little more in vogue. 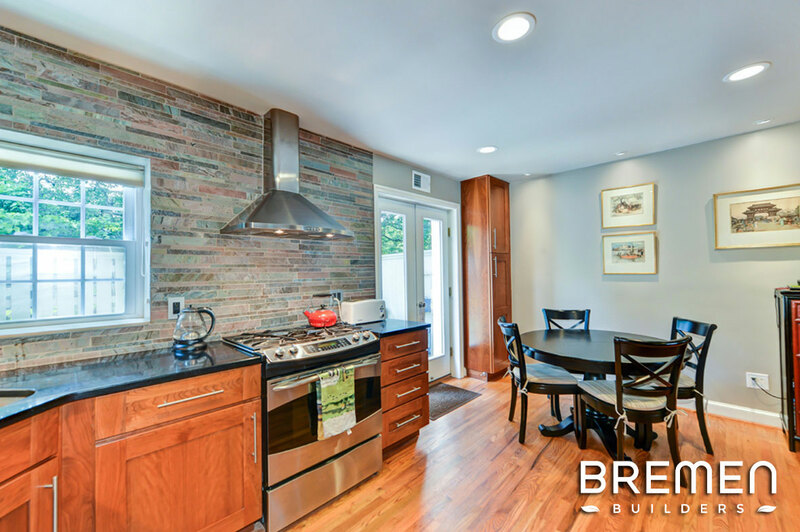 If you’re looking for kitchen design ideas that have a bit of color, add a bright mosaic tile backsplash or pick out a vibrant floor finish. Frosted cabinets are great for a more modern element, while painted cabinets make for a nice but inexpensive touch. What kind of kitchen decor should I choose? When looking for kitchen decorating ideas, take into consideration which kitchen remodeling ideas inspire you. Given the fact that this room is the heart of your home and where the majority of eating and entertaining takes place, walking into it should evoke joy and energy. Black and white color patterns are simple yet elegant, whereas usage of colors like yellow and turquoise make for bright and cheery kitchens. Novelty signs and marquee letters liven up any room, and items such as family pictures, placemats and tabletop decorations add subtle variety and personality. Another pragmatic kitchen decorating idea is adding a chalkboard to jot down notes, events, grocery lists or recipes, as well as a big calendar that the family can all contribute to. Adding a succulent arrangement or herb garden to the windowsill livens up the space (literally) and can balance out designs that may feel too heavy in one element or another. 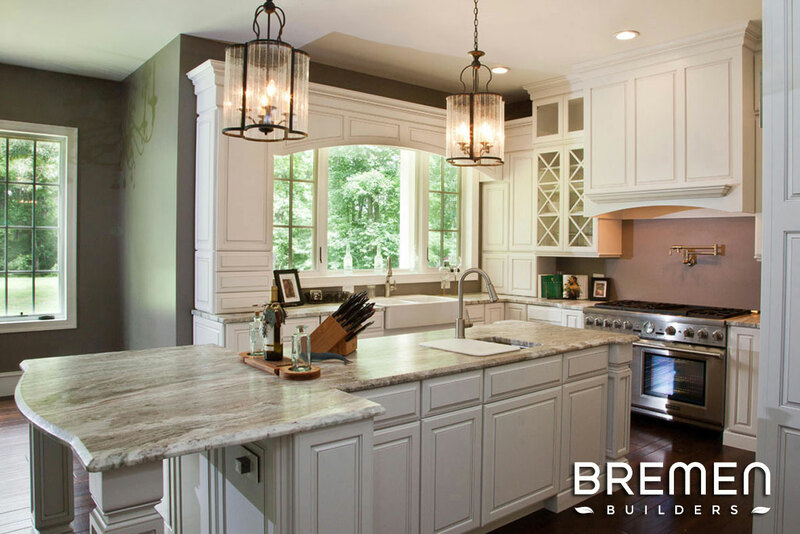 Bremen Builders is in business as a professional remodeling contractor dedicated to the satisfaction of the client. 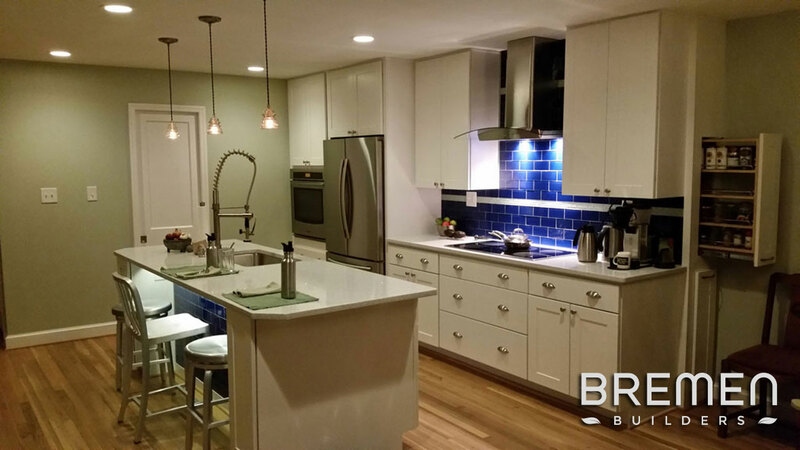 Our objective is to continue to meet the needs and requirements of discerning clients through our remodeling expertise and specialties, and to keep pace with an evolving and refining remodeling industry. © Copyright 2018 by Bremen Builders. All Rights Reserved.